Home » Mobile App Development Cost: Is It Worth It? An app can do wonders for a small business. It can help with customer retention, improve brand value, and even stand ahead of competitors. However, building an app also requires a lot of resources. Let’s take a look at the mobile app development cost and what goes into this cost. However, before looking into the mobile app development cost, it’s important to understand whether or not you need one in the first place. For example, if your competitors have apps, then you definitely should consider building one for your business. In addition, if you are looking to improve customer experience by upgrading from your website, an app is a good idea. The key is to figure out what exactly you want to achieve and whether it’s worth it to build an app, or just upgrade the website and make it more suitable for mobile. At the same time, there are downsides to investing in an app. It’s widely known that people spend much more time on their smartphones using apps than browsing through websites. However, it’s also worth mentioning that an individual app is launched less than nine times per month on average, according to Localytics. Moreover, users spent less than 30 minutes in an individual app each month. In addition, 48% of the users keep using an app one month after the download. On the other hand, 52% of users don’t access it after a month. After three months, the user retention rate drops to 32% and 68% of users don’t access an app. An agency usually charges more than a freelancer. However, a freelancer might be able to develop just one part of the app. Hiring more freelancers could cost more and there might be communication issues when you are trying to put everything together. On the other hand, a software development agency is easier to hold accountable and is more reliable. Therefore, paying more will generally yield better results. No matter your choice, here is a breakdown of the mobile app development cost, so you could understand what you are paying for. Without any doubt, user experience is the most important aspect of your app. It defines everything from what the user sees to how they interact with the app. 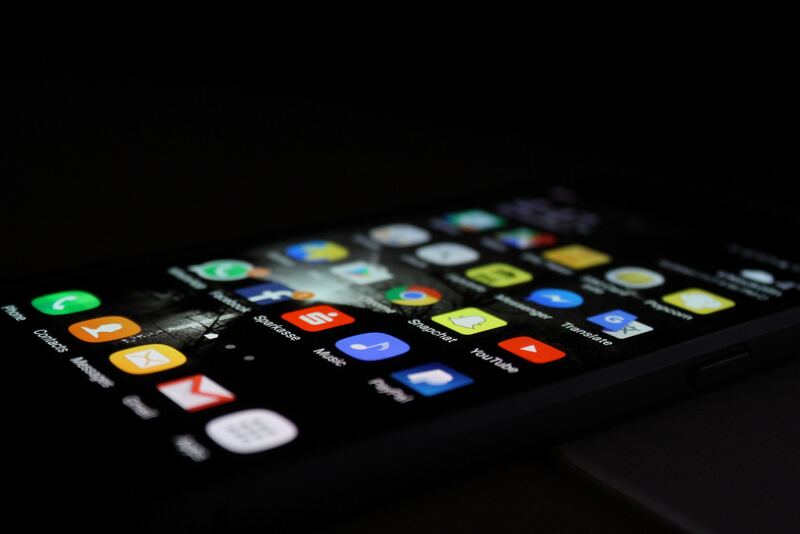 Given that there are millions of apps, the design is also a great way for your app to stand out, especially if your competitors also have their own apps. The design of your app must be smooth and streamlined. The functionality must be easy to understand yet complex enough to justify using the app in the first place. Since UX design is such an important part of your app, it’s understandable why it’s also the main part of the mobile app development cost. Moreover, businesses often outsource the UX design to a separate specialized agency despite the extra cost. All of this to ensure that users actually like what they see and will come back. Back-end includes the application itself, the database, and the server which hosts the database. Once you interact with the app, it sends data to the database and it can be retrieved later if necessary. Security is also part of back-end, but it’s an important one, therefore it might have a big impact on the mobile app development cost. Your app may require users to register and log in to access different services. Therefore it’s important to keep this information secure. That’s why you should consider investing in some additional security layers. In the last couple of years, we have seen a number of major hacks at large retailers such as Target and Home Depot. Getting customer data stolen can put a big strain on a company’s finances. In addition, it can have a major impact on a brand’s value. If large companies can survive data breaches, for small businesses these can prove near fatal. That’s why cybersecurity has become one of the main software development trends. The cost to develop a mobile app also should include expenses that you’ll incur after the app is released. For one, there will definitely be bugs that will need fixed. If you’ll want to improve some features, your app will need to be updated. All these go to the maintenance costs after the release of your app. Even though building an app seems overwhelming and there are a lot of things to consider, keep in mind that these days building an app takes a fraction of resources from a decade or so ago. There are plenty of ways to have an app without having to pay an arm and a leg. For one, you might consider building your app using React Native. React Native is a framework that allows creating native (installable) apps by “wrapping” web apps. In addition, there are platforms such as Firebase and BuildFire, which save a lot of resources. In particular, BuildFire helps create apps through a click-and-edit interface and requires no coding skills, so you can build an app even by yourself. These can be great solutions for businesses with small budgets. However, the results might also be subpar, since building an app also requires what clients want and how they use an app.